700 Elizabeth Street, Williamstown, WV 26187. 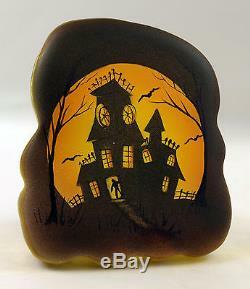 Fenton Art Glass Crystal Paperweight Handpainted Halloween "Haunted House and Bats" Design. Award-winning Fenton artist Frances Burton captures all the fun of Halloween on the wonderful one-of-a-kind crystal paperweight (3.75" high, 3" wide and 2.5 deep). The airbrushed orange tones of the big full moon are the perfect background for a haunted house and bats flying about! Note the spider webs in the windows and the "monster" waiting to greet you at the front door! This one-of-a-kind paperweight is identified, dated and signed: "Fenton 2016 Frances Burton OOAK". And youll have it in time for this years Halloween festivities! Founded in 1905 by brothers Frank L.
Fenton, the Fenton Art Glass Company ranks among the world's foremost producers of handmade art glass. For more than a century, Fenton has developed new colors and patterns, including items enhanced with hand-painted floral decorations and 22k gold accents. Fenton glass appeals to all types of customers, and, over the years, this appeal has led to the company's great success. In fact, no two Fenton pieces are exactly the same! 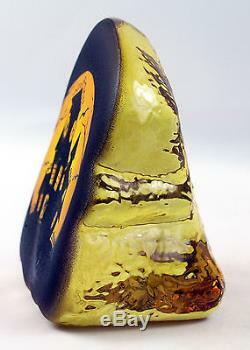 In 2005, the Fenton Art Glass Company celebrated its 100th anniversary. Traditional glassmaking ceased in July of 2011. Now led by third- and fourth-generation Fenton family members, along with skilled glassworkers and decorators, Fenton continues their 108-year history of glassmaking excellence by creatiung beautiful, handmade art glass jewelry, including beads and Teardrop earrings in Williamstown, West Virginia. Online ordering available in the United States only. If you are interested in contacting us, our customer service hours are Monday - Friday, 8 a. 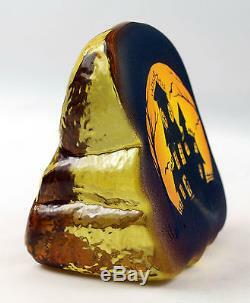 The item "Fenton Art Glass OOAK Crystal Paperweight Halloween Haunted House & Bats Design" is in sale since Wednesday, October 12, 2016. 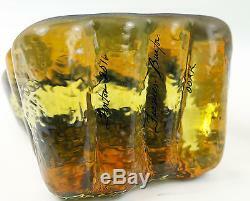 This item is in the category "Collectibles\Decorative Collectibles\Paperweights". 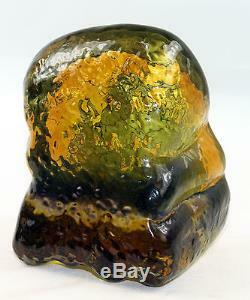 The seller is "fentonartglass" and is located in Williamstown, West Virginia. This item can be shipped to United States.